I never thought I would feel so scared and vulnerable. 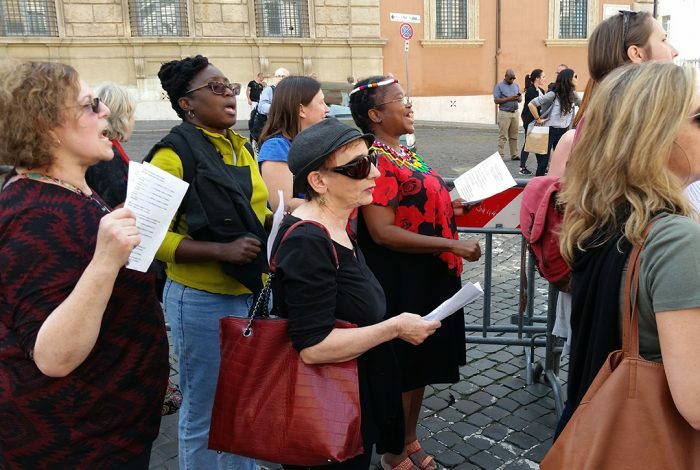 I participated on Wednesday in a nonviolent protest outside the Vatican. I wasn’t there as a journalist, but as a Catholic feminist on vacation. After about 30 peaceful minutes, the police descended on us as if we were Black Panthers with machine guns. One irate undercover cop grabbed the slight Kate McElwee, who led the protest, so hard, she teared up in pain. Six uniformed policia circled part of our group, demanding passports. They called a paddy wagon. Two mounted police showed up. Our crime? Asking politely for a voice in the future of our church. We chanted to cardinals, asking for something ridiculously mild — the right to vote. A puny 10 percent of the official attendees — 30 women in all — are part of a meeting this week of Catholic bishops and cardinals and a few other men. Even those women have no vote. Only the men do. The meeting will discuss young people and how to encourage them to serve the Catholic Church in a variety of capacities. You’d think they’d want women actively engaged in that discussion. But clearly our chant — Knock, knock who’s there? More than half the church! — irritated some of the top brass. Men who never called the cops on sexual predators fear a group of women who want greater equality in the church. 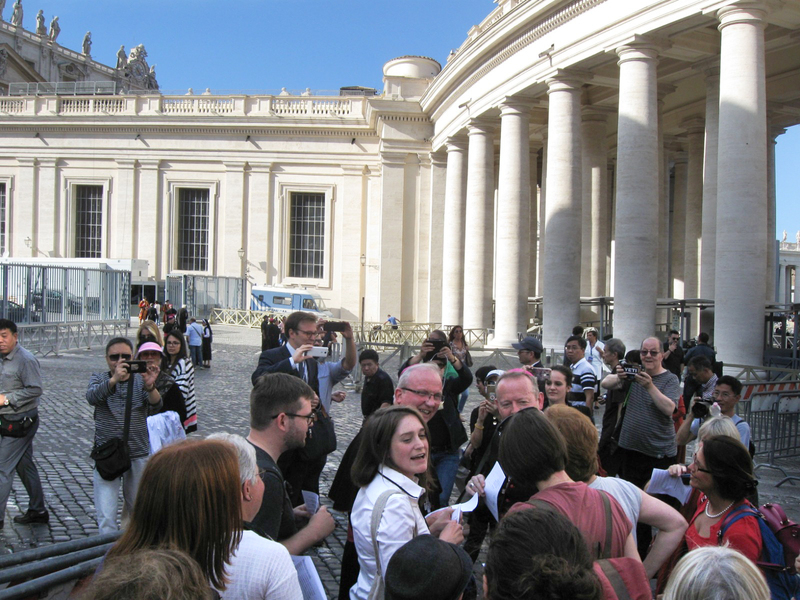 We women were harassed as cardinals passed by. They crossed the street. Not one moved to help us.